See my most recent media here. From 2015-2018 he held a Governor-in-Council appointment to the governing Council of the Natural Sciences and Engineering Research Council of Canada where he also served on the Executive Committee and as Chair of the Committee on Discovery Research. He is also immediate past-president (2014-2018) of the International Sociological Association’s Research Committee 01: Armed Forces and Conflict Resolution. Since joining RMCC in 2005, he has served as Associate Dean of the Faculty of Arts and Deputy Head of the Department of Political Science and Economics. He has twice received the RMCC Commandant’s Commendation for Excellence in Service. A long-time proponent of experiential learning, Leuprecht has also been a finalist for RMCC’s Teaching Excellence Award and has received honourable mention for the Queen’s University Undergraduate Research Mentorship Award (2017). 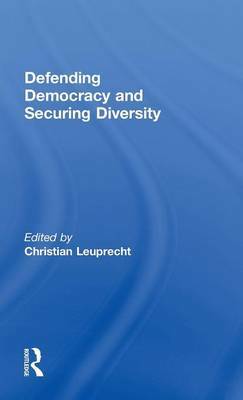 He is a member of the editorial boards of Armed Forces & Society, Commonwealth & Comparative Politics, Current Sociology’s Manuscript Series, and the Springer book series in Advances in Science and Technologies for Security Applications. Previously, hewas associate editor of the Queen’s Policy Studies series published by McGill-Queen’s University Press. Leuprecht, C, Sokolsky, JJ and Derow, J. Paying it Forward: Canada’s Renewed Commitment to NATO’s enhanced Forward Presence. International Journal. Leuprecht, C, Szeman, J and Skilliborn, DB. The Damoclean sword of offensive cyber: Policy uncertainty and collective insecurity. Contemporary Security Policy. Hataley, T. and Leuprecht, C. Bilateral Coordination of Border Security, Intelligence Sharing, Counter-Terrorism, and Counter-Radicalization. In Canada Among Nations 2017. Eds. Christopher Sands, David Carment, and Inger Weibust. Baskingstoke: Palgrave Macmillan. Ghanbarpour-Dizboni, A. and Leuprecht, C. Framing, Branding and Explaining: A Survey of Perception of Islam and Muslims in Canadian polls, Government, and Academia. In Islam in the West: Perceptions and Reactions. New Ed., Eds. Abe Ata and Jan Ali. Sydney: Oxford University Press, chapter 3. Leuprecht, C., Sokolsky, JJ and Hughes, T. 2018. North American Strategic Defence in the 21st Century: Security and Sovereignty in an Uncertain World. New York: VS Springer. Read the introductory chapter here. Leuprecht, C, Sokolsky, J and Derow, J. 2018. On The Baltic Watch: The Past, Present, and Future of Canada’s Commitment to NATO’s Enhanced Forward Presence in Latvia. Ottawa: Macdonald Laurier Institute. Featured by Maclean’s and the CBC. Leuprecht, C, Koelling, M and Hataley, T. 2018. Public Security in Federal Polities. Toronto: University of Toronto Press. Leuprecht, C. and MacLellan, S. 2018. Governing Cyber Security in Canada, Australia and the United States. Waterloo, ON: Centre for International Governance Innovation. Leuprecht C and Hataley, T. 2018. Journal of Borderland Studies 33(3). Special Issue on Determinants of Cross-Border Cooperation. Leuprecht, C, and McNorton, H. 2018. Bringing Security and Intelligence Into Focus: How to Clarify the Roles of Newly Created Accountability Bodies. Ottawa: CDA Institute & Macdonald Laurier Institute. February. Halloran, PJ., Leuprecht, C., Ghanbapour-Dizboni, A., Green, A.,and Adelstein, D. 2018. The terrorist resourcing model applied to Canada. Journal of Money Laundering Control. 21(1): 33-46. Walther, O, Leuprecht, C and Skillicorn, DB. 2017. Political Fragmentation and Alliances among Armed Non-State Actors in North and Western Africa (1997-2014).Terrorism and Political Violence. Leuprecht, C. 2017. Force 2.0: Fixing the Governance, Leadership, and Structure of the RCMP. Ottawa: Macdonald Laurier Institute. September. Leuprecht, C. 2017. “Once Irregular Migrants are at the border, it’s too late,” Inside Policy, March, pp. 12-14. In the Globe and Mail on the odds of stanching illegal handgun flow low for police and lawmakers. On a TVO The Agenda panel, on dealing with returning ISIL fighters.